When you turn in a one time payment it does not immediately process, it is added to the weekly batch which will be turned in to the processor on Thursday to run on Friday. Charges from Webformix will appear on your bank or credit card statement labeled as "APS (or Automated Payment Systems), Sandy UT". Your invoice will still have the same due date, and will be emailed to you 1 day before it is due. We will then automatically process a payment for you on the Friday on or after that date. Your payment will never process before your invoice date, but may sometimes process up to 6 days later. I confirm that I understand that Webformix processes electronic payments every Friday, which means that IF my account has a balance and it's a Friday, a payment will be initiated on my behalf, for the full amount of my current balance. Webformix charges a 3% fee to process credit and debit card transactions. In order to avoid this fee, we encourage customers to use the EFT (electronic funds transfer) option by providing a routing and checking account number with which we will process an electronic check on your behalf. 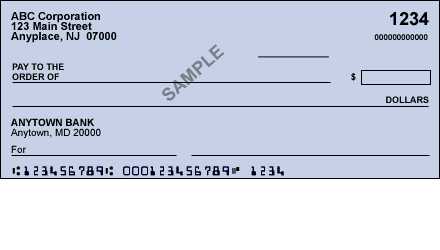 Alternatively, you can always mail checks or money orders to our office at 67 NW Hawthorne Ave, Bend OR 97703. I authorize and request Webformix to initiate debit entries to my account, by and through Automated Payment Systems, hereinafter called APS, and to debit the same to such account as indicated below at the depository financial institution indicated below. This authorization is to remain in full force and effect until Webformix has received notification from me of its termination in such time and manner as to afford Webformix and the depository financial institution a reasonable opportunity to act on it. By checking this box, I am electronically signing my application. I understand that my IP address 54.90.86.231 is being logged. Please fill out the Additional Comments section if there are any other important details for this payment. Type the word INTERNET into the field below.